It's been six years since legendary director Brian de Palma's last film, 2012's Passion, but he has a new film named Domino in post-production, a novel he co-wrote with his wife, Susan Lehmann, called Are Snakes Necessary?, and a new project that he's currently writing. While promoting his book, which was published last month in France, the filmmaker was asked about the Harvey Weinstein scandal that has rocked Hollywood since October, and he revealed that he's writing a movie about the scandal right now. Here's what the filmmaker had to say below. "I am writing a film about this scandal, which I am currently discussing with a French producer. My character will not be called Harvey Weinstein. But it will be a horror movie, with a sexual aggressor, and it will happen in the film industry." Brian De Palma was also asked if he has been offered to make any films for Netflix, responding that he had been offered films but he also indicated that he turned them down because he's a "visual stylist" and that he needs a big screen. The once-prolific director's output has certainly waned over the years, with his last three films, the upcoming Domino, 2012's Passion and 2006's The Black Dahlia spread out over a period of 12 years, stating that if you don't make a blockbuster, it's hard to get a movie made in Hollywood. When asked if he's "mad" at Hollywood, the director had this to say. "Hollywood has changed. Dinosaur and superhero movies are made for kids! You can not make serious movies over there ... unless you are Spielberg and you are the studio. After Mission: Impossible, when Tom (Cruise) said he wanted to shoot the rest, I said, 'Are you kidding?" Why would I want to make another movie like this?' After that, I did Snake Eyes, Mission to Mars and there I said: Stop . I was tired of these big movies, where you fight with the studios to know how much the special effects cost." The filmmaker also did not mince words when it came to his experience on Domino, a film which stars Nikolaj Coster Waldau and Guy Pearce, calling the production process, "a horrible experience." The filmmaker went on to say that the production was "underfunded" and that the producer kept lying to him, and that the producer even didn't pay some of his staff. The director added that he isn't even sure this film will see the light of day, but he added that the film itself is good, which his wife agreed with. As for the Harvey Weinstein project, the filmmaker didn't indicate how far along he is on the script, or who the French producer was that he's discussing this movie with. Given the filmmaker's issues with Hollywood, and since he's talking with a French producer, it seems likely he'll direct the film in France, but given the film's connection to the Harvey Weinstein, it would likely see the light of day stateside as well. 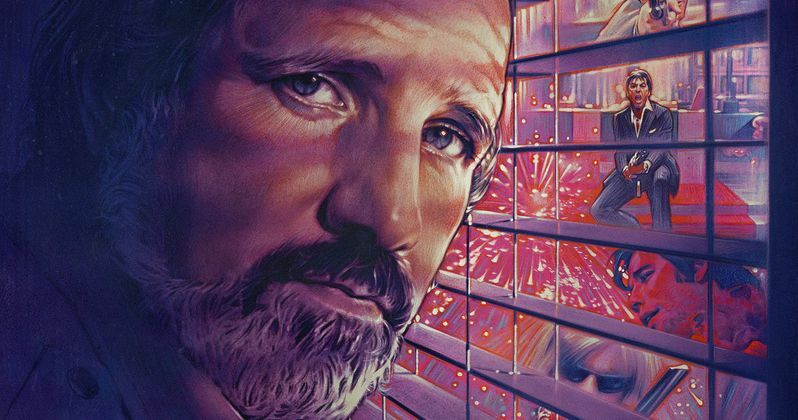 You can head over to Le Parisian for their full interview with Brian de Palma.